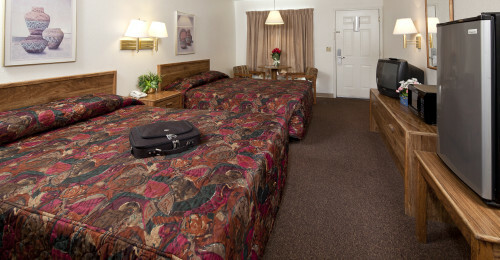 Standard Double Queen room has two queen size beds, TV with cable, air conditioning, small table and chairs, and phone. 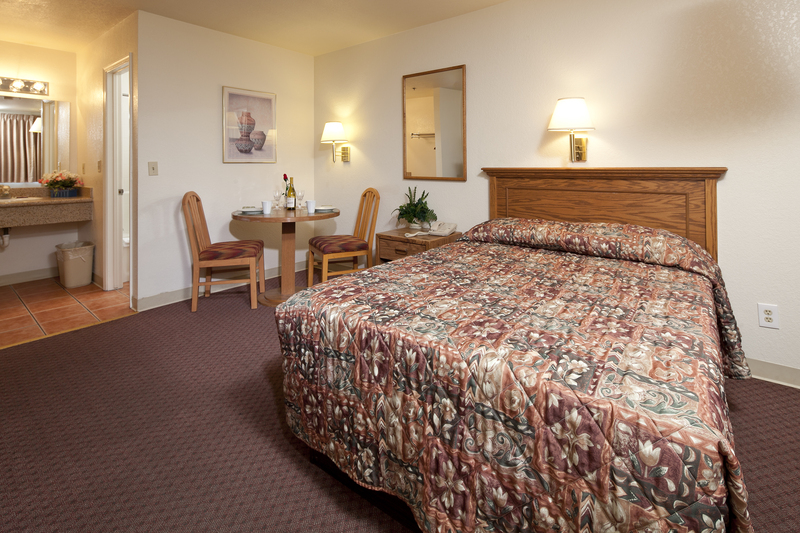 Standard Single Queen room has Queen sized bed, TV with cable, air conditioning, small table and chairs, and phone. 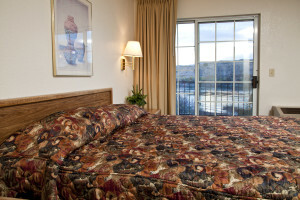 River front Suites offer gorgeous views of the sparkling Colorado River and our relaxing pool area. All suites have a balcony or patio great for enjoying your morning coffee. Suites have a private bedroom with queen size bed. A separate living room with pullout sofa, cable TV, air conditioning, table, chairs, and phone. 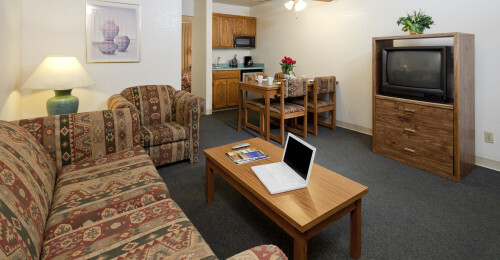 Mini Kitchens are in all Riverfront Suites with microwave and coffee maker and free coffee. 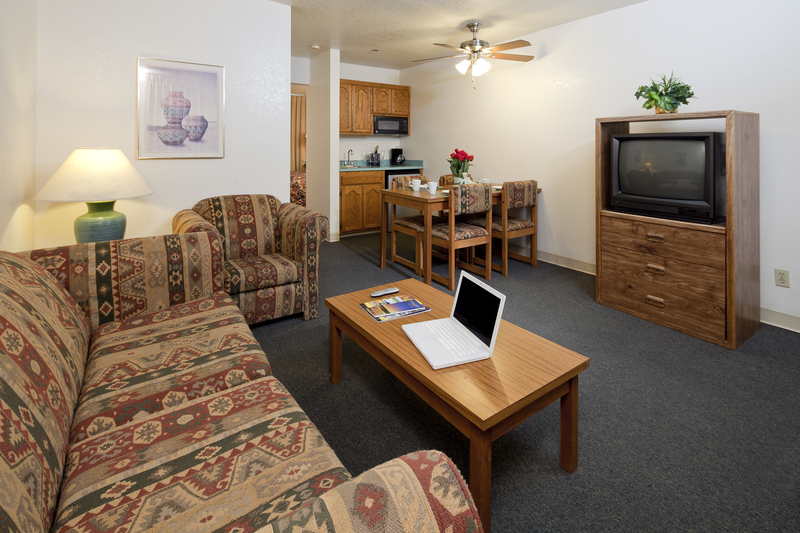 Mini Suites have been recently remodeled and offer many of the great comforts of home from a pillow top mattress to a microwave, coffee maker and refrigerator in all mini suites. 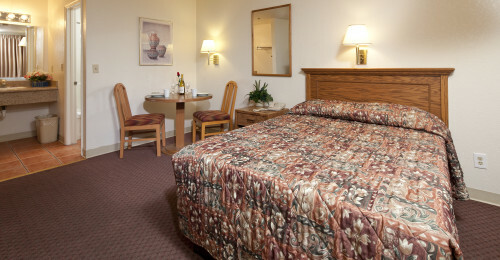 Standard Queen Room has one queen size bed, TV with cable, air conditioning, small table and chairs, and phone. The Lodge on the River is riverfront on the Colorado River. Notorious for summer fun with river rafting, boating, jet skiing and much more! Our popular public boat launch is only a half mile away. Bullhead City, AZ is located across the river from Laughlin, NV casinos (approximately 5 minutes from hotel) and features miles of hiking trails, Lake Mead National Recreation Area, Lake Havasu, Katherine's Landing, the Colorado River Museum and Arizona's Veteran Memorial. Take a short drive and visit some of our neighboring attractions such as the Grand Canyon National Park, the London Bridge, Hoover Dam, Davis Dam, and even some Ghost Towns. 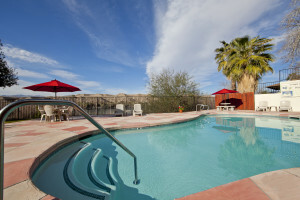 Our Riverfront Lodge is conveniently located within walking distance to restaurants, shopping, grocery store, and only one mile to Laughlin/Bullhead International Airport. 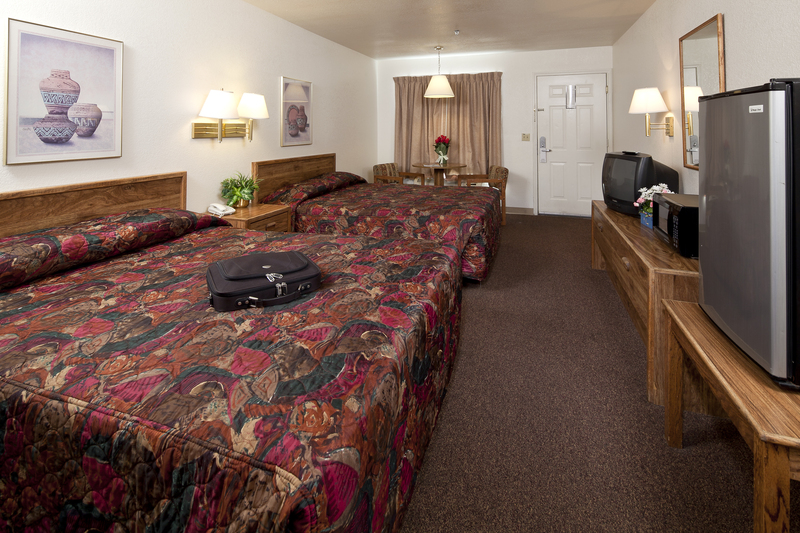 We offer guest laundry facilities, vending machines, complimentary coffee. Small pets are welcome (additional fee applies-limited rooms are available). Extended stay suites are also available.